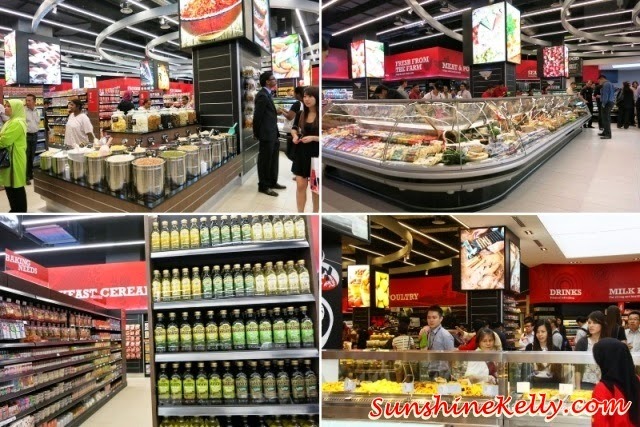 SAM’s Groceria the latest premium urban grocer in Malaysia launched its first grocer in the Klang Valley at Nu Sentral Mall last friday on 23rd May 2014. The groceria has a wide range of imported selections. 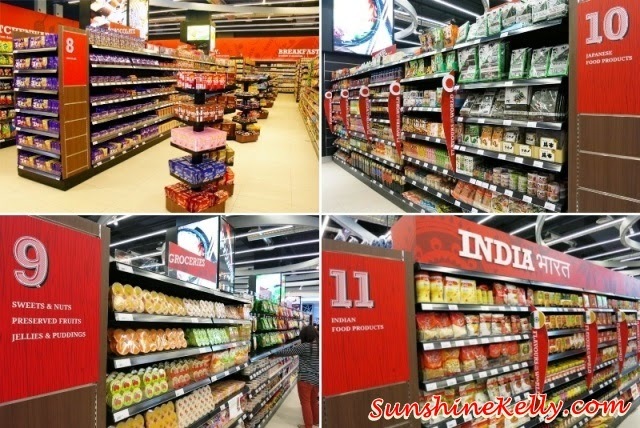 It is also the first retailer in the city to introduce the use of the Personal Shopping System to provide shopper more convenient and hassle-free shopping experience. According to Dato Wira (Dr.) Haji Ameer Ali bin Mydin, SAM’s means Saya Anak Malaysia and its MYDIN’s second venture to capture the high-end grocer segment. SAM’s also houses a delicatessen called SAM’s Deli, which offers freshly made premium Western, Eastern and local cuisine ranging from a variety of pastas, sushis, pastries, cakes and nasi lemak including a selection of beverages at reasonable prices. 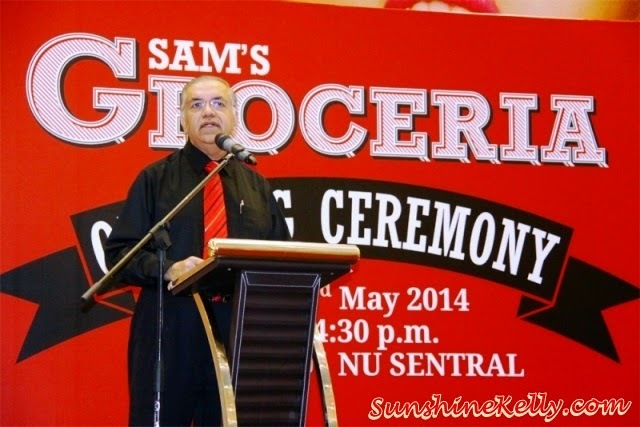 The SAM’s Groceria @ Nu Sentral is the second of five SAM’s branded outlets to be launched this year. Currently, they have SAM’s Groceria @ Gurney Paragon in Penang and a standalone delicatessen, SAM’s Deli, which has just opened in Seremban 2. By the end of this month, the third grocer will be launched as well as a second stand alone SAM’s Deli outlet which will both open in the Klang Valley. 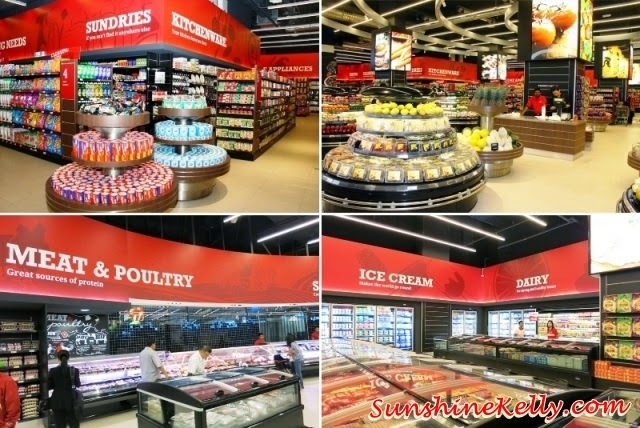 SAM’s Groceria has implemented the Personal Shopping System called “SAM’s Self Scan” at its very first store in Malaysia. The Personal Shopping System consists of Motorola Solutions portable handle mobile computers device that comes with an integrated bar code scanner, customers will be able to perform self-scanning by scanning the barcode of the items they want to purchase, placing the items direct into a shopping bag as they walk through the store aisles. SAM’s Self Scan allows shoppers to head to dedicated payment counter, they can swiftly pay for their purchases without having to wait in long queues and burdened with unloading the shopping cart and re-bagging their purchases. This can save a lot of time and hassle when we are doing our groceries. The SAM’s Family Card is their loyalty program which will be integrated with the latest technology to further enhance our shopping experience. By doing so, SAM’s shoppers can look forward to the store’s exclusive offers and seasonal products. The SAM’s Family Card can also be used to redeem points and enable usage of SAM’s Self Scan at all SAM’s Groceria. SAM’s Groceria has plans to introduce an online shopping service for Klang Velley residents to offer a more convenient shopping experience with its online services set to commence by July this year. I was at your Deli this morning. I bought some food as takeaway. Was put off by the Indian cashier who wax continuously cussing and shouting at her co workers. I had to repeatedly ask her to take my payment although she saw me waiting to make payment. Very unbecoming to have such characters as frontliners. no additional having to create unnecessary , long visits to a market. Dear respondents, sorry to intrude your personal space. I can see from Sam's Groceria's page, you're one of their customer. We are postgraduate students of Arshad Ayub Graduate Business School (AAGBS) UiTM Shah Alam, currently pursuing our Master in Business Administration (MBA). We are currently conducting a research on Sam's Groceria. Your personal opinions are very important to us and we are very glad if you could spend some time in fulfilling this questionnaire. Thank you for your cooperation and participation. Should you have any inquiries, please do not hesitate to contact us.